It's tough keeping straight who's for and against marijuana legalization. camera (Keith Tsuji/Getty Images) Tibetan spiritual leader the Dalai Lama is introduced to guests during "Dialogue in Tokyo" at Hotel Okura in Tokyo, Nov. 17, 2013.
intro: In the national debate over liberalizing marijuana laws, you practically need a scorecard to keep up with who's in favor and who's opposed. Two warring camps keep track of which public figures and are in favor of liberalization (including decriminalization and legalization) and which are opposed: Smart Approaches to Marijuana (SAM), which is opposed to legalization, and Marijuana Majority, which is in favor. Making life difficult for both is the fact that some high-profile people hold complicated positions: Texas Gov. Rick Perry, for example, favors states' having the freedom to set their own marijuana policies. He favors the medical use of marijuana. He favors its decriminalization. But he does not favor legalization. So, where does that put Perry? Jimmy Carter, when he was president back in the 1970s, supported decriminalization. As recently as December 2012, he gave what the Huffington Post called "deep-throated endorsement" to state efforts to legalize pot. Then, in May 2013, Carter said in a statement issued by SAM that he opposed pot's legalization. Carter said in SAM's release, "I do not favor legalization. We must do everything we can to discourage marijuana use, as we do now with tobacco and excessive drinking." Kevin Sabet, a former adviser to president Obama on drug policy and the co-founder of SAM (along with Patrick Kennedy, former U.S. Representative from Rhode Island), tells ABC News he was glad to publicize Carter's seeming flip-flop. "Many people were surprised," he says. "Carter's 1970s comments were taken out of context." Sabet says he's been angered by Marijuana Majority's claims of support. Its site, he says, includes "people who aren't supporters at all. They mix up decriminalization with legalization and with the medical use of marijuana. Those are all very different things. Rick Perry supports a version of decriminalization—but that's not the same thing as legalization." Sabet says SAM soon will unveil a new site of its own that will clarify who's against legalization. Tom Angell, chairman of Marijuana Majority, says: "Our site quotes people in their own words and then indicates whether they support legalization, decriminalization or medical marijuana. We have never claimed anyone as a legalization supporter who has not explicitly identified themselves as such." He challenges Sabet to "point out any instance where we've mischaracterized anyone's position." In the meantime, here's a brief guide to who's advocating what, as best we can tell, at least as of today. Marijuana Majority quotes the founder of the Christian Broadcasting Network as saying, "I really believe we should treat marijuana the way we treat beverage alcohol. I've never used marijuana and I don't intend to, but it's just one of those things that I think: this war on drugs just hasn't succeeded." 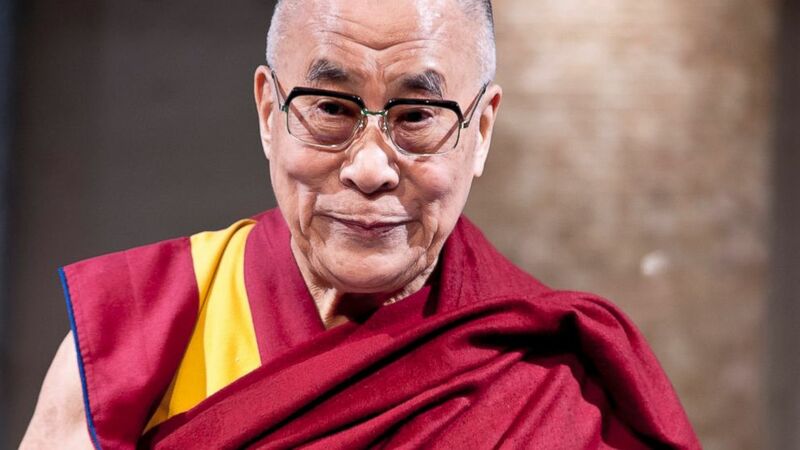 quicklist:	title: the Dalai Lama category: media: 22262673	text: The spiritual leader of Tibet supports the medical use of marijuana but otherwise, according to SAM, is opposed to its use. SAM quotes him as saying, "otherwise, if it's just an issue of somebody (using marijuana) to have a crazy mind, that's not good." quicklist: title: Tina Brown category: media: 22262930 text: The Daily Beast editor is opposed to legalization. SAM quotes her as saying: "Legal weed contributes to us being a fatter, dumber, sleepier nation even less able to compete with the Chinese." quicklist: title: Jerry Brown category: media: 22262479 text: The governor of California (once famously dubbed "Governor Moonbeam" by Linda Ronstadt) opposes legalization. "Every year we get more and more marijuana," SAM quotes him as saying. "And every year we find more guys with AK-47s coming out of Mexico going into forests and growing more and more dangerous and losing control." quicklist: title: Michael Steele category: media: 22262193 text: The former Republican National Committee chairman, who views current drug policies as failed, stops short of calling for marijuana's legalization. Marijuana Majority quotes him as saying the incarceration rate for African Americans is off the charts. "Something has got to break the logjam. A lot of folks are getting caught in the cross-hairs. We've got to reorient our priorities here, when it comes to the issue of drugs in our culture." quicklist: title: Howard Dean category: media: 22263028 text: The former governor of Vermont is claimed by both camps. SAM quotes him as having said, "I'm actually not a fan of the medical marijuana movement. Most of you know that I am a physician, and as a physician I just don't believe that marijuana is a medicine." Then again, Marijuana Majority puts him down as supporting decriminalization: "I believe marijuana should be decriminalized. I'm very much against the war on drugs. It is a total failure." quicklist: title: Jimmy Carter category: media: 22262612 text: The former president now opposes legalization, although his stance in the 1970s was more ambiguous. "I do not favor legalization," he declared in a SAM press release. "We must do everything we can to discourage marijuana use, as we do now with tobacco and excessive drinking. We have to prevent making marijuana smoking from becoming attractive to young people, which is, I'm sure, what the producers of marijuana...are going to try to do." quicklist: title: David Koch category: media: 22285985 text: The industrialist and executive vice president of Koch Industries is claimed by the pro-liberalization Marijuana Majority site, which quotes him as saying: "I have friends who smoke pot. It's ridiculous to treat them as criminals." quicklist: title: Rahm Emmanuel category: media: 22282823 text: Marijuana Majority quotes the mayor of Chicago as saying he supports the decriminalizing of the possession of marijuana. SAM quotes him as saying, "I want to make sure our children get a clear and unambiguous message as it related to drug use: It is wrong and dangerous." He's claimed by both camps.